Become one of our satisfied clients and receive a present – an original map of Prague + discount coupons on: crystal, garnet, ceramics, swarovski and much more. 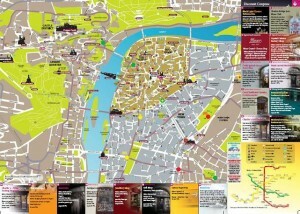 Each group receives one map free of charge. You can buy more: 50 CZK / piece. 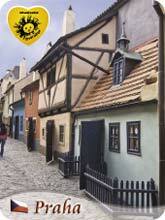 You will also receive a special Prague souvenir magnet. The income from these souvenirs goes solely to local children’s homes! Each group receives one souvenir magnet free of charge. You can buy more: 50 CZK / piece. We have prepared more than 100 tailoremade tours around the Czech Republic and Central Europe matching various interests, be it architecture, history, fine arts, medieval castles, crystal glassworks, breweries, wine tasting, etc. 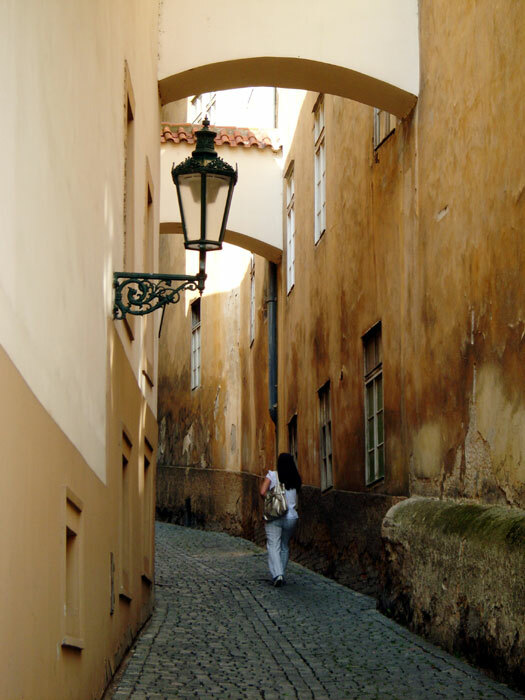 Most Popular Prague Tours | Prague Walking Tours | Day Trips from Prague | Prague Jewish Tours | Thematic Tours | Prague Food & Beer Tours | Prague on Wheels | Tours to Czech Castles | Bohemia Crystal Tours | Sightseeing Flights | Sports & Hiking Tours | Eastern Europe Tours | World War II Tours. To ensure availability, we recommend making a reservation as soon as possible; preferably 24 hours ahead. You can also contact us on the same day. Private-Prague-Guide.com represents a personally and carefully hand picked group of professional, fully licensed, enthusiastic, fun and custom-oriented guides who will make the most out of your stay in Prague and the Czech Republic. All our private guided tours are conducted in English, but we can provide you with a tour guide speaking almost any language. If you want a language other than English please let us know during the booking procedure. Your personal tour guide will pick you up at an agreed place and time; most likely at the reception of your hotel (we recommend at around 9-10 am). Upon request your guide will show you the way to a place of your interest after the tour.